Apple launched OS X Lion 10.7, the first major upgrade to its operating system software in two years. It size is around 3.74GB. Currently, Lion is only available only through Internet. There is no physical media like USB stick or DVD's released. For this upgrade.If you have slow internet connection you need to wait until August for $70 flash drive or can walkin into Apple retail store for upgrade. If you have high speed Internet, you can download it and make it bootable USB stick and DVD's. In order to upgrade, Lion requires Snow Lepord,Mac OS X10.6.6 or later. 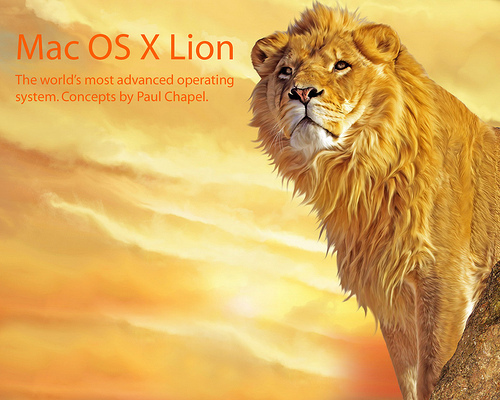 Apple claims that upgrading to Lion 10.7 brings 250 new features. Apple has newly introduced a new feature Lion Recovery - When you have trouble, press command-R when you start up and you will be booted into recovery mode. Even where your hard disk is dead, pressing command-R will connect to apple server and download new version of Lion through Internet. For cost and overall review visit here.